Yoga mat as canvas? Let the creativity flow. I’m loving this bespoke collection from Grey Area. 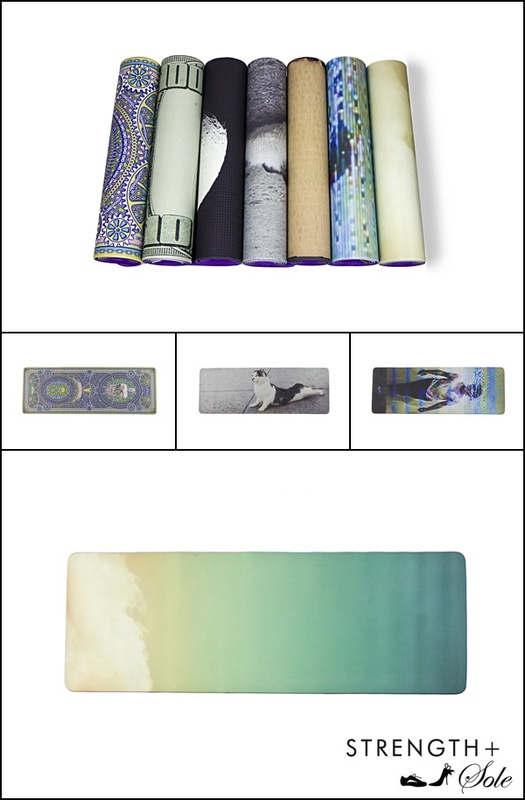 Designed by mostly New York-based artists, each of the seven eco-friendly yoga mats brings art into our daily yoga practice with totally eye-opening, avant-garde imagery. One of my favorites is the Eric Cahan Mat (directly above). Taken from his Sky Series, it shows the East Hampton sunset as captured by the artist at exactly 7:22pm, exploring the relationship between light, color and space. Who doesn’t love a dreamy beach sunset? Launched at buzzy Art Basel Miami Beach in partnership with lululemon, you can grab your favorite at South Beach Morgans Hotel properties like The Delano, Shore Club and Mondrian and shop the collection on Grey Area’s site. This is one viewing party that just can’t be missed.